An NOAA Weather Alert Radio is a great thing to have in your home. An NOAA weather alert radio is probably the type of alert radio you would best be served by. I have seen that some people like to follow the weather as a hobby. However, many others do it out of necessity. It is so much better to be safe than sorry. If this sounds like you, investigate NOAA weather alert radios. 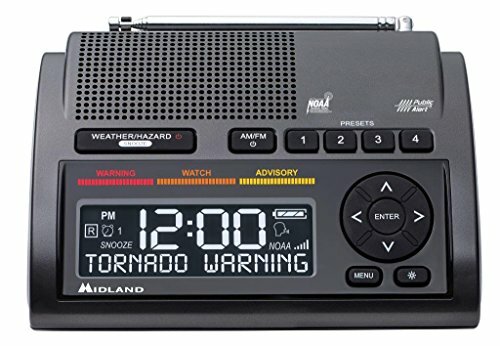 These radios provide owners with all NOAA weather alerts. Weather information starts with the National Oceanic and Atmospheric Administration, known as NOAA. NOAA is an arm of the U.S. Department of Commerce. What is known as NOAA Weather Radio All Hazards or NOAA Weather Radio (NWR) is a national network of radio stations that work in conjunction with the government. This national alert system works authorities from all states down to the county levels of each state. This tying everyone together system alert network is making it your single source for comprehensive weather and emergency information. NWR has over a thousand transmitters that cover all fifty states, surrounding coastal waters, and the country’s territories. NWR airs weather alerts in addition to emergency and hazard alerts. NOAA Weather Alerts are issued in a series of warnings, watches, and forecasts seven days a week, 24 hours a day. In addition to national weather service alerts, the network airs alerts about a variety of emergencies. These include earthquakes, oil spills, AMBER alerts, and terrorist attacks. To receive NOAA Weather Alerts, one must have a special radio. Exactly, what is a NOAA weather alert radio? 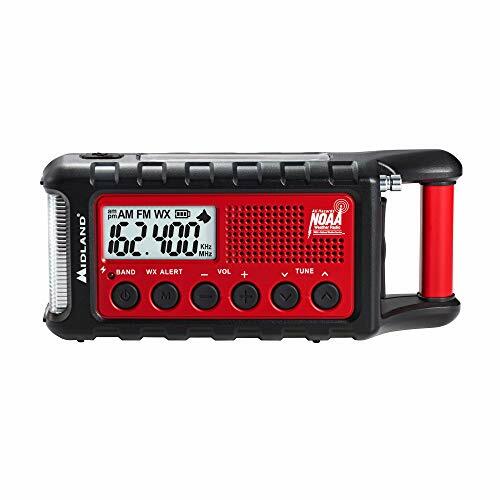 This radio receives all the information from NOAA weather alert stations. Experts insist that every home should have one. It is the best way to be prepared. A weather radio can be programmed to stay silent until NOAA Weather Alerts are issued. In the event of an alert, the radio gives a warning tone followed by detailed information. SAME weather radios can be programmed to receive alerts that are only relevant to your area. SAME stands for “Specific Area Message Encoding” a system that is used by many different counties in many different States across the US. Special codes are written and are available to be set up by you in your NOAA Weather alert radio. Take a look at these downloadable codes at the NOAA SITE CODES. Since much information may be gleaned from the NOAA website, you may go to this page How To Program NWR SAME Codes Into Your Receiver, to get all the direct scope on setting up these codes to be used by you locally. Being Local with these is the key. Local information and local alerts are everything to you. Your family and you depend on correct and timely information to be possible life saving to you. Some examples of successfully built and popular selling NOAA Weather Alert Radios are the following two that I would recommend for covering your protection needs. In just general daily life observing, anywhere you live in the United States you see examples multiplied by many, reasons you should own an NOAA Weather Alert Radio. Unfortunately, terrorist attacks and natural disasters are dominating the news. A weather radio can save lives in these troubling times. For example, a homeowner may be unaware there are tornadoes in the area unless they have a radio. Residents with radio were warned about the recent terrorist attack in New York City. This information is useful for anyone who lives near the attack. Likewise, others will know to stay away from a dangerous area. In the last couple of years, hurricane season was devastating for residents of Florida, Texas, South Carolina, North Carolina, the Pan Handle of Florida /Eastern Alabama, Puerto Rico and the U.S. Virgin Islands as examples. Owning a battery-operated weather radio protected many families during this time. Here are two great NOAA Weather Alert Radios to take an in-depth look at. The Midland ER310 Features 3 emergency sustainable ways to keep it powered. It has a solar panel, a Hand Crank, and a rechargeable 2600mAh battery to power up with. The solar panel will recharge the lithium batteries in it. The batteries will power the radio and can be recharged by electricity for normal powering up and usage. These batteries will last up to 32 hours of use. You may also use by the normal 6 AA batteries that are installed in it. The ER310 is equipped with an EMERGENCY FLASHLIGHT-The SOS FLASHLIGHT BEACON flashes Morse code in an emergency scenario. It also has a powerful beam for signaling for help. Last but nowhere the least is the ability to scan through 7 bands of broadcasts to pick up needed communications during emergencies. NOAA Weather Alert will sound an alarm indicating that there is a risk of severe weather in your area. AM/FM radio is also available. This unit is a staple in the weather radio alert area of communication. Here are 5 points that need to be emphasized. It uses the S.A.M.E. Technology. Any of the Same Codes for local coverage may be programmed and set up to cover you where you live. Many people like multiple purposed products. This is one of them. It is an AM/FM radio and it also can serve as an alarm clock and you can always get the current time from it. It has 4 radio presets that can be used to increase your flexibility. You may add and remove as many alerts as you need to cover you and your family. Watches and warnings are broadcast based on weather information for a particular area. Basically, it means your area could be in store for a particular type of weather. Warnings are more serious than watches and residents should begin to take precautions. For example, go to an emergency shelter if there is a tornado warning. Further, a flash flood warning means to move to higher ground temporarily. NOAA weather radios are available in a variety of styles and in a wide range of prices. One of the most valuable features is having a multiple power source. If the electricity is out, the radio should operate by battery. Radios are available that include flashlights, beacons, and other survival tools. Indeed, consumers can purchase a weather radio with a smartphone charger for less than fifty dollars. The Kaito-KA500IP NOAA Weather Alert Radio is powered in 5 different ways. YOU WILL NOT BE CAUGHT WITHOUT POWER!!! Also powered by three AA batteries (not included), solar panel, the built-in rechargeable Ni-MH battery which can be recharged from the AC adapter, by hand crank or by a PC. **** A special extra that MOST LOVE- It comes with the ability to charge your cell phone through it. 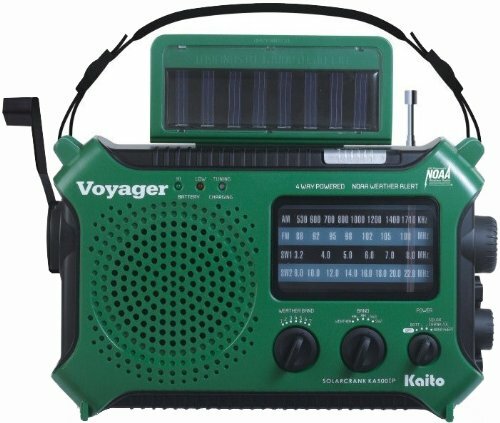 It is a featured AM/FM/Shortwave radio with 7 pre-set NOAA weather channels with alert set capabilities. The 180-degree adjustable solar panel is a unique weather radio feature. You will be able to capture solar energy in most situations. NOAA Radio Alerts can be very important to helping you protect your family. The NOAA weather alerts will let you know when there are extremely important weather developments that could be very dangerous conditions to your family and your property as well. A NOAA Weather Alert Radio is more important today than it has ever have been. Do You Have one to protect your family? If not you may need to reconsider using our points about weather alert radios.